In an Oregon Hospital, a modeler has learned a technique to build accurate models in 2 days. Not models of one interaction, but models of an entire department, such as Surgery, Maternity or the overall flow of a hospital. In this article, you will learn three concepts to speed modeling. And, you will see how to be 100% confident in the model and the results. The usual method of developing a simulation model requires extensive time to analyze data, verify operation and validate the statistical characteristics of the model. This article shows an alternate technique called “Real Data Modeling.” This method uses actual product or patient records to drive the model. Each record contains routing, duration, resource requirements, etc. The required data is pulled from company systems and is read-in to ProcessModel. It sounds difficult but is not. Building a real data model can be accomplished in a fraction of the normal modeling time. Testing is simple because known inputs are required to give known outputs. A past production schedule can be input and checked against the resulting production reports. The most common reason for building a model is to answer a question. We want to know an answer with certainty. We use modeling because the entire interaction can be included and understood. We want to be certain, so we build a model. Statistical models are built by analyzing past data to create predictions of what could happen in the future. All statistical models must go through a rigorous and time-consuming process to verify the model. Alternatively, use actual data from a previous period to drive the model. For a surgical suite, a real patient record is used to find the date, time in preop, suite needed, surgical time, post-op time, etc. For a manufacturing facility, actual orders provide quantity, routing, setup time, batch size, work time, etc. There are no distributions needed for this modeling technique. Keep it simple. 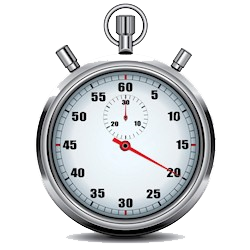 When using actual times and requirements, see the performance possible from proposed changes. If proposed changes would have made a difference last year, then those changes can be projected on this year. For example, you could stop the simulation when the production orders complete, recording the hours required. After making changes, run the model again and compare the needed hours alongside the previously recorded hours. Calculate the improvement. Keep it simple. What products should be close to one another in production sequence? What products should far apart in production sequence? What were optimal batch sizes? What products should move to another line? Where are the best investments to increase production? The model became a fast method of performing a kaizen study. Imagine, ideas becoming experiments and tested within minutes. That’s what they did. As a result, they improved production by more than 40%. The project cost was low. There are three main steps in developing a “Real Data” model. Build the model to handle any order of routing. Build the logic to extract the routing information from entity attributes. Prepare the arrivals to carry attribute information. Think of the model as being generic. Build it to handle any routing order. Send all entities to a common location where they will pick up the information needed to route “to” the first activity and pick up how much processing time will be required. When finished at the first activity go back to the common location and pick up the information for the second location, and it’s associated processing time. The structure of the model has all entities entering into the common location. Conditional routes are used to read a common attribute to steer entities to the next location. Once at the activity, the processing time is another common attribute. When finished at the activity all entities are routed back to the common activity to pick up the next location and next time. A simplified healthcare example is used below to illustrate. In a healthcare environment, the number of locations might expand to 20, but this technique is useful in any industry. The base model could be expanded to hundreds of locations if needed. When changing the model to match your locations, the following will need to be modified: change the names of the activities; change the conditions in the conditional routes; and change the logic described below. The attribute a_Next_Loc is used in every red (conditional) route to steer the entity to the next location. The attribute a_Next_Time is used at every location to determine the processing time at the activity. Additional attributes are added to account for other aspects of the system, such as setup time or batch size. Prepare the input so that the first location goes into the attribute a_Loc1 and the associated time goes into attribute a_Time1. The good news, a company database usually contains all the information needed. If you need help converting your data to this format, please contact support. We have done this many times. The logic from this example can be expanded to handle as many locations as needed. Using the technique of “Real Data Modeling” allow you to build and experiment with models in a fraction of the time normally required. Faster modeling and analysis means quicker decisions which mean improvements for things still the focus of management. And you know what that means.